Went for a walk from Brinscall up onto the moorland. Picture taken as it snowed. Good to see you posting again, Jeff. That's a nicely composed image with lots of strong leading lines. I like the how the contrast on the trees lowers as the view recedes into the distance due to the snow in the air. I'm glad we missed that down here in the lowlands. Looks decidedly chilly. Nice atmospheric shot. 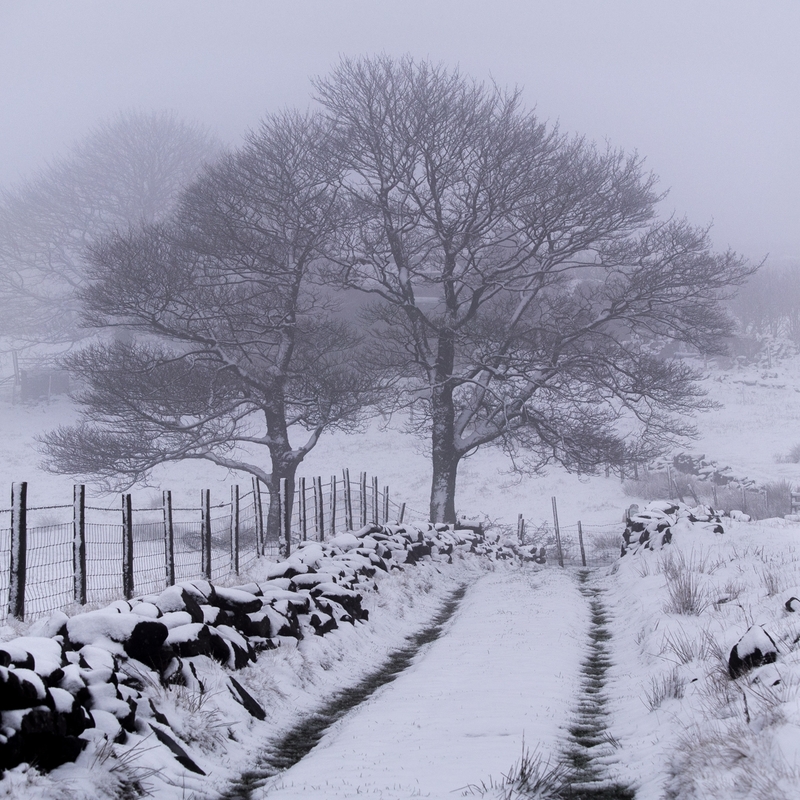 Taken some weeks ago on edge of West Pennine Moors at about 800ft elevation. It was raining in the valley so I walked up to the snow - could not resist even though not dressed for snow. Terrific image: good lead lines; interesting main object, and the feint tree in the BG adding depth. An interesting use of a square crop, which works well. I remember something similar happening in the hills around where I live in Accrington.